I blame my mate Iain Sloan and, by association, Loudon Temple of Bloody Great PR for my new found love of Americana and Roots music. 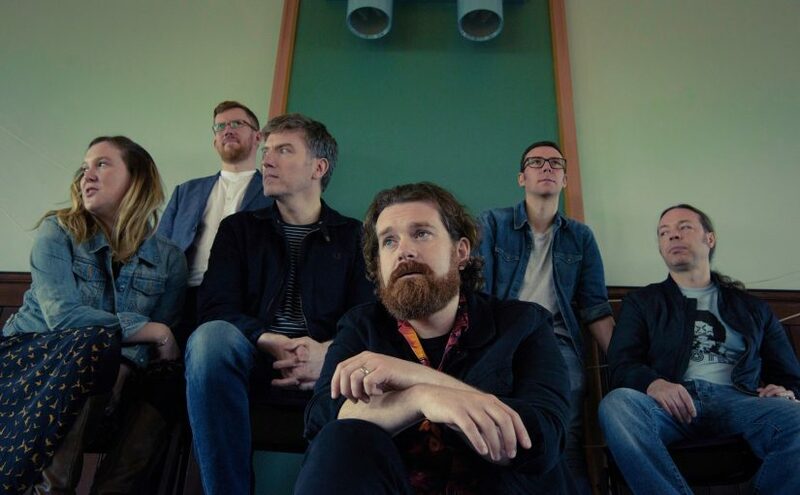 For those not in the know, Iain is the rather special guitar player from the Scottish Americana band The Wynntown Marshals, a band whose last two releases I have reviewed and enjoyed immensely. Loudon’s Bloody Great PR company cover an incredibly diverse and deeply impressive selection of roots, folk and Americana artists, based over here in the UK and Ireland and over the pond in the States and I have had the pleasure of reviewing their work. When I heard the first strains of the opening track, Passing San Ysidro, from Glasgow sextet James Edwyn & The Borrowed Band’s second album ‘High Fences’ I was immediately hooked by their superb sound. The riff and hook filled tunes are full of resplendent melodies and finely honed arrangement. There’s a driving American rock feel to songs like the opening track and Get Back Up yet there’s an honest humility to tracks like Pushing Statues and Starlet with the ever elegant steel guitar that tugs on the emotions. 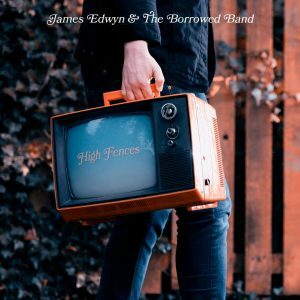 James Edwyn himself has a honey-toned vocal delivery that holds you in rapture and the skill and dexterity of the musicians imbues class and panache to every note and the counter punch of Emma Joyce’s dulcet feminine voice produces superb harmonies and adds powerful drama to Quoting Sagan and Burning Man. The compelling Taking Liberties is a particular highlight but there is never a dull moment on this deeply influential record. An album for when the sun goes down on a great day and you need to finish it off in rare style.